Despite the widespread popularity of Buddhist practices (like meditation), there is little understanding of the complex philosophy behind Buddhism. The historical Buddha, Gautama, was a real person�a radical�who challenged the religious leaders of his day. 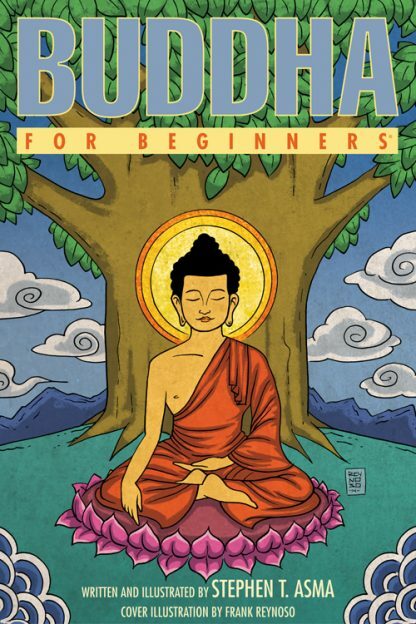 Buddha For Beginners introduces the reader to the historical Buddha, to the ideas that made him change his life, and to the fascinating philosophical debates that engaged him and formed the core of Buddhism. Buddha For Beginners compares Buddha�s philosophy with those of his contemporaries, the later Buddhist schools, and Western Philosophy. The book includes a survey, distinguishing the philosophical differences among later schools of Buddhism, such as Theravada, Madhyamaika, Tantric, Zen, and others. Buddha For Beginners is not a book you read, it is a book you experience. It makes you stop and close your eyes. Through some magical combination of words, drawings, and intuitive wisdom, Buddha For Beginners conveys not only the facts of Buddhism, but the peace, the silence...the feel of it. It is historically accurate, spiritually challenging, and the white spaces mean as much as the words.